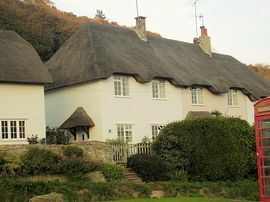 Lulwind is a comfortable and pretty modern semi detached thatched cottage, set in the heart of the beautiful village of West Lulworth. The world famous Lulworth Cove is a mere two minute walk away and is a part of the 'World Heritage Jurrasic Coastline'. 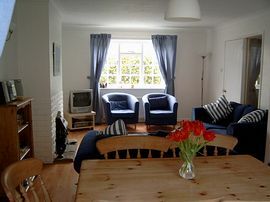 Lulwind offers an excellent base for walkers and families alike with breathtaking walks along the nearby coastal path as well as bathing and exploring on the nearby beaches. 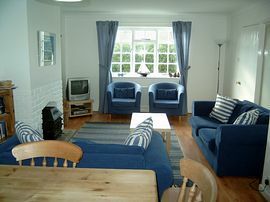 The Cottage has three first floor Bedrooms, 1 double, 1 twin, 1 single. Beds made up on arrival. The Lounge/Diner contains a dining suite for 6, 28" TV, DVD, Video, stereo, double sofa bed. The Kitchen has an oven, hob, microwave, fridge, freezer, dishwasher, washing machine, tumble drier. A first floor Bathroom with full suite and electric shower and G/F WC. The Garden has a small patio and lawn with furniture. Centrally located on the Jurrassic coast, there are many nearby coastal towns and villages to explore or venture inland and enjoy the outstanding countryside. To the East Studland, Corfe Castle, Swanage, Brownsea Island and Bournemouth. To the West; Weymouth, Bridport, Lyme Regis and Abbotsbury. Venture inland and enjoy the dramatic countryside as well as attractions such as: Lulworth Castle, Monkey World, the Tank Museum and the deserted village of Tyneham are all a short drive away. 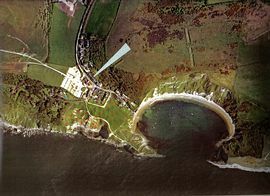 Opposite Lulwind you will find the Heritage Centre which offers an in depth history of the immediate coastline. Two lovely public houses, a number of hotel restaurants and grocery store are well within walking distance. Midweek and weekend breaks available. 250 yards from Lulworth Cove. 250 yards from the beach. All beds made up for your arrival. From £320.00 Low Season. To £860.00 High Season.